It has been my experience that it's usually Roman Catholics bringing up Luther's infamous description of the book of James as an "epistle of straw." Go to virtually any Roman Catholic discussion board, place "epistle of straw" in the search engine, and you're bound to get a hit. For instance, on the CARM Roman Catholic discussion board, I read the following, "Your man Luther called James 'the Gospel of straw' Now who disrespects the Bible?" Well, OK, this defender of Rome almost got it right: the comment from Luther was "epistle of straw," not "Gospel of Straw," but it's close enough. Should we thank Roman Catholics for so vigorously defending the book of James and chastising Luther for such a statement? I can appreciate Roman Catholics vigorously defending the canonicity of James, but they don't have the right, according to their own belief system, to criticize Luther, and I'll explain via the short dialog I had responding to the "Gospel of straw" comment. “Few people realize — and liberal Luther interpreters do not particularly advertise the fact — that in all the editions of Luther’s Bible translation after 1522 — the Reformer dropped the paragraphs at the end, of his general Preface to the New Testament which made value judgments among the various biblical books and which included the famous reference to James as an “Epistle of straw” [John Warwick Montgomery, “Lessons From Luther On The Inerrancy Of Holy Writ’s,” Westminster Theological Journal Volume 36, 295]. Montgomery finds that Luther showed a “considerable reduction in negative tone in the revised Prefaces to the biblical books later in the Reformer’s career.” Therefore, for anyone to continue to cite Luther’s “epistle of straw” comment against him is to do Luther an injustice. He saw fit to retract the comment. Subsequent citations of this quote should bear this in mind. Luther didn't retract his comment. At best you can only claim that he stopped publishing his comment. A retraction is a formal disavowal. I see no evidence that Luther ever retracted his statement about the book of James. That he did not continue to publish the claim is an indication that his claim was not well received. His lack of disavowal indicates he did not change his mind on the subject. In my response I stated that I could understand the concern this Roman Catholic had for the book of James. I also appreciated the defense of the Scriptures when confronted with a comment like Luther's "epistle of straw" remark on the book of James. Indeed, Luther held lifelong doubts about the canonicity of James. As I have researched it, even though Luther arrived at the harmonizing solution between James and Paul, it is probably the case that the question of James’ apostleship outweighed it. Luther's questioning of James primarily has to do with the book's status in Church history, and it’s internal evidence as to its apostolicity. For Luther, James was the writing of a second century Christian, therefore not an apostle nor an eyewitness of the risen Christ. Did Luther simply arrive at this conclusion without a basis? No. Throughout his career, he maintained a position that echoed other voices from church history. This trumped any type of harmonization between Paul and James. Let us remember that throughout Church history, many Christians did not hold the apocrypha to be sacred Scripture. In the 16th Century Catholic men like Erasmus, Luther, and the great Catholic scholar Cajetan expressed doubts on some of the New Testament books as well. These men all share one thing in common. They formed their opinions on the canon previous to the council of Trent. The liberty these men had was simply the liberty as allowed by the Roman Catholic Church. If the New Catholic Encyclopedia is correct, Erasmus, Cajetan, and Luther, and a host of others previous to them had every right within the Roman Catholic system to engage in Biblical criticism and debate over the extent of the Canon. In the case of Luther, Cajetan, and Erasmus, theirs was not a radical higher criticism. The books they questioned were books that had been questioned by previous generations. None were so extreme as to engage in Marcion-like canon-destruction. Both Erasmus and Luther translated the entirety of Bible, and published it. to read more about the views of Erasmus and Cajetan (contemporaries of Luther), see my paper, Luther’s View of the Canon of Scripture. When one looks at the totality of Luther’s New Testament canon criticism, it is quite minute: four books. Of his opinion he allows for the possibility of his readers to disagree with his conclusions. I can show his overall opinion softened later in life by the exclusion of many negative comments in his revised prefaces. Of the four books, it is possible that Luther’s opinion fluctuated on two (Hebrews and Revelation). Even while criticizing James and Jude, he positively quoted from them throughout his career. In the case of Jude he did a complete series of lectures. In the case of James, he occasionally preached from the book. Add up the chapters Luther questioned in James and Jude, and the amount is quite small. I suggest Rome's defenders follow the criterion put forth by their Church: theologians are granted the freedom to hold opinions on matters not settled dogmatically. If Rome's defenders do this, well, I'll at least respect them for being consistent with their authority paradigm. If they still maintain criticism of Luther's statements on James, perhaps they can explain on what basis they do so, for it is certainly not being consistent with the criterion put forth by the Roman Catholic Church and her infallible pronouncements. I've been reading all of these blog entries on Luther with amazement. Its actually quite amusing. All this time spent on defending a man and his doctrines and character, and the Catholics defending Christ and the Church. Do we see a stark contrast between the focus in apologetics? One is self centered the other Christ centered. Luther makes himself the authority, whereby we take Christ and His Church as the authority. Luther says this himself where he says in arguing about Saint Paul and the meaning of his words, "If your Papist makes much useless fuss about the sola allein, tell me at once: Dr. Martin Luther will have it so,' and says, 'Papist and donkey are one thing....For we do not want to be pupils and followers of the Papist, but their masters and judges." where I had to correct him on several issues because he took an entry from it without investigating anything in more detail. Get some real reference works for a change. At what lengths will one go to defend Luther is absolutely amazing. Did Luther's view soften as has been stated on the blog towards his later years? Another fallacy. In 1542 only 4 years before his death he wrote, "We should throw the epistle of James out of this school, for it doesn't amount to much. It contains not a syllable about Christ, except at the beginning. I maintain that some Jew wrote it who probably heard about Christian people but never encountered any. Since he heard that Christians place great weight on faith in Christ, he thought, "Wait a moment! I'll oppose them and urge works alone.'" So much for changing his views later in life. The fact of the matter is that Luther did not challenge the use of James on the platform of historicity at all. He never used its use in the Liturgy throughout the ages to affirm or deny its use in the Church as Sacred Scripture. This is all nonsense. Luther denied it for one reason alone. It was because he could not tolerate God's Word contradicting his man-made doctrines, in which he could not reconcile. Do we really need to do a quick dig on the book of James to prove my point? We know that the book of James was widely held as Sacred Scripture centuries before Luther. It is listed in the Council in Carthage in 397, Gregory of Nazianus included it in the 4th century, The Canon in Laodicea in 363 included it, Cyril of Jersusalem included it, and the list goes on. Another interesting point to note is that we can see how bankrupt Luther's theology was. In the above quote we see him saying that nothing is said about Christ in the book of James, or nothing is referenced to him, and that a "Jew who knew nothing of Christianity who wrote it. As the late scholar Bruce Metzger points out, "Of all the books in the New Testament other than the four Gospels, this one has the greatest number of parallels to the words of Jesus, particularly to his teaching on the Sermon on the Mount(Matt.5-7)." He continues, but you get my point. Luther was no theologian, far from it. Anyone who had the pompous arrogance to not only challenge Sacred Scripture in the way that he did, but outright reject them cannot be considered rational. In fact most would consider his words blasphemy. I wanted to sum this is with some of my favorite Luther quotes. You can't cover up the the blasphemous comments on this guy. "Therfore James concludes falsely that now at last Abraham was justified after that obedience; for faith and righteousness are known by works as by the fruits." And then my favorite where he adds to God's Holy Writ, boasting about his credentials.....what nonsense. "Are they doctors? so am I. Are they learned? so am I. Are they preachers? so am I. Are they theologians? so am I. Are they disputators? so am I. Are they philosophers? so am I. Are they the writers of books? so am I. And I shall further boast: I can expound Psalms and Prophets; which they can not. I can translate; which they can not .... Therefore the word allein shall remain in my New Testament, and though all pope-donkeys (Papstesel) should get furious and foolish, they shall not turn it out." You can sugarcoat this guy all you want, but the fact of the matter is he was a very troubled man over this issue. "Do we see a stark contrast between the focus in apologetics?" "It has been my experience that it's usually Roman Catholics that bring it up Luther's infamous description of the book of James as an "epistle of straw."" So who is really doing what? RCs are the ones bringing up Luther. Simply looking into THEIR arguments and seeing if they are valid is a crime now? Then Matthew writes 3 full paragraphs against Luther. I suppose Swan should remain silent for that too? The hypocrisy indeed! What???? All this talk has been on Luther here on this blog. In fact I can think maybe of one time I have ever referenced him once in passing in my apologetics works. "The hypocrisy indeed!" What?? This is the first time I have even written about him at any length, because I frankly really don't care about him that much. I just had to comment on all of this defending of his character, in which there is no place for it. His writings speak for themselves, yet how we try and bury history for the sake of false doctrines of men. Howard Fisher, you never made a comment about anything I have written substantially in my above post, but only commented that I am a hypocrite, from which you have no rational argumentation to base your comment on. Typical response from this blog though. Par for the course. What references should one use rather than the NCEncy? Rhology, have some respect for change and call me by my name. If you can read it is Matthew, not champion. In case you can't tell the difference, Catholic Champion is the name of a website, Matthew is my first name, or shall I call you Beggars? Rhology, maybe real Church documents? Maybe scholarly historical research? maybe more hen one source? An Encyclopedia is just an overview of particular topics. As I proved on my videos in addressing James White and his incorrect assumptions he made on transubstantiation, the elevation of the host, the tabernacles, etc, they were all based on his misuse of the Catholic Encyclopedia. There are also several editions of them put out by many publishers with several grades in scholarship, from liberal to conservative. It is not representative of church doctrine or teaching, nor as a stand alone historical reference. Is there a source, a webpage, or some document that will aid me in distinguishing a "real Church document" from a not-"real Church document"? What I don't want to do is find some source, quote it, and then see Romanists ignore it b/c it didn't have the proper authority or backing of the Church or whatever. That happens an awful lot with the "scholarly historical research" to which you also referred me... So a little more insight would be helpful. The fact is no one uses an Encyclopedia to base an apologetics debate on, or any serious reference work for that matter.. Try using an Encyclopedia in a thesis or dissertation in a University as your main source of reference and you will be failed in an instant. An Encyclopedia is not meant for the purpose that people on this website, or James White uses it for. It is an abbreviated source for quick reference and nothing more. As I have demonstrated in my videos, Mr White used it to make an argument on his debate, and his argument completely fell on its face because he did not do his research, but used the Encyclopedia as a quick crutch to throw out a bunch of facts. This is what i am referring to. Please, "have some respect for change" and just answer the question; it would be appreciated. I just answered your question. Sorry if you don't like the answer. Don't use the Encyclopedia for something it is not intended for. How is that? I think thats clear enough. The NCE was used HERE by James as a historical resource. Are the facts wrong as put forth by the NCE? Are they in conflict with a church document? I don't think they are, so it appears you are may be justing using this situation to to talk about Dr. White. That's also a bit evident from Matthew's refusal to answer my follow-up questions. I'm not trying to start an argument here, Matthew. I really want to know to what one can appeal. You say "not the Encyclopedia." Cool. How about a Wheaties box? Give some guidance, please. 1. What references should one use rather than the NCEncy? 2.Is there a source, a webpage, or some document that will aid me in distinguishing a "real Church document" from a not-"real Church document"? The fact is no one uses an Encyclopedia to base an apologetics debate on, or any serious reference work for that matter..
1. How does "Don't use the NCE" answer the questions put to you? HINT: It doesn't. So, unless we hear back from you, we'll take this as a tacit admission that you either can't answer or won't answer. Also, I've written a number of papers at the graduate level in, and, I've got news for you, Matthew, you're quite wrong. 1. A generalized encyclopedia is off limits, but not specialized encyclopedias. The NCE represents the latter and not the former. 2. Specialized encyclopedias are useful as summaries, as such they can be used to supply brief, encapuslated facts and quotes, and are of most use when supporting material is used. As Carrie noted, if you think the NCE conflicts with some "real Church documents" then the onus is on you to show that to be the case. Further, we would hope that you would do the work of actually writing the publishers to correct their work for them. I'm sure they would appreciate a champion of Romanism of your obvious skills and capability assisting them. Luther makes himself the authority, whereby we take Christ and His Church as the authority. Yes, this sounds very pious, but it's a logical mess. Every appeal to something like "the Church" is an an appeal to "the mind of the Church." Every appeal to "the mind of the Church" is an appeal to "the minds of the Church." So, you're in no better position with respect to "authority" than we are. It's also question begging. Which Church? Where did Christ designate Rome the one true holy apostolic church? Please name the Scripture either in the Gospels or anywhere else in the NT. The Orthodox deny that claim, as do Protestants, as do a number of others. 2. Your quote of Schaff deserves some context. Namely, it was common practice in those days, days when critical texts were few and far between and animosities were running high, to make interpolations in the text. But if you object to interpolations in the text, shall we enter into a discussion of textual criticism and the number of scribal assertions in the texts of Scripture that PREDATE Luther, and would therefore fall under the watchful gaze of the Popes in the West or the Patriarchs of the Eastern Church? I'm sure we could find quite a few. 2. And if that's the case, then perhaps we should ask you not only which books of the canon are correct, but which textual tradition is the one, true, holy, apostolic text. I'm sure a champion of your obvious abilities can dig up some "real church documents" to tell us. You've written much, but you haven't addressed James's strongest argument, namely, that Luther, as well as several others, were perfectly within the realm of orthodoxy in their rejection of certain books because their had not been an infallible proclamation at that time. "Therefore James concludes falsely that now at last Abraham was justified after that obedience; for faith and righteousness are known by works as by the fruits." What is also a blast is that the book of James was used in the Church consistently for over 1000 years before Luther, and not many were confounded by it as Luther was. I guess it took him to clear all of that up. You guys keep on defending men and their personal opinions. As for me I will promote Christ and the true Gospel. Thats the beauty of Christ and His Church. I don't have to defend people day after day and their own personal theological ideas and their mere personal opinions of who God should and should not be, and what God should and should not say through His Holy Word Jesus. God decides what the Scriptures are through His Church, and not through mere men, nor blasphemers such as Luther. Before I go I wanted to add some more of my favorite quotes by the heretic Luther. What I find so amazing is how pompous and arrogant he is in regards to everyone but himself. As they say, pride is the mother of all heresy. How about this one, he hates Saint Chrysostom and Basil too! If this is a guy worth defending, then have it. I've had about all I can stand of him. It seems like you're saying that in order for a Catholic to disagree on something that has not been infallibly proclaimed, he/she has to have a scholarly opinion on the matter. Is this your own personal criterion? When St. Bernard argued against the Immaculate Conception, he said that such a dogma would necessitate Mary's mother having been preserved from original sin, and her grandmother, and her great-grandmother, etc., etc. That doesn't seem like a scholarly opinion to me. Kepha, I don't see any of them acting like Luther did in their opinions of Sacred Scripture, nor any of the other Church Fathers. Sorry, St. Bernard is not a proper comparison. Lets compare St Bernard to these personal attacks by Luther on others as well as Sacred Scripture....Luther was not a rational man. That is unless you agree with his mad comments attacking all of these Saints, and God's written Word. In case you forgot, since you haven't addressed Luther's comments, nor has anyone else here. Here they are again for everyone to enjoy. After all isn't this blog site a tribute to such a monster? Remember this one? Now he knows more than God who has given us James as Sacred Scripture. Instead of him saying that James concludes falsely, he was really saying that God concludes falsely. Or this one.I guess he doesn't realize that the Jew he is talking about and insulting is God almighty. Only 4 years before his death he wrote, "We should throw the epistle of James out of this school, for it doesn't amount to much. It contains not a syllable about Christ, except at the beginning. I maintain that some Jew wrote it who probably heard about Christian people but never encountered any. Since he heard that Christians place great weight on faith in Christ, he thought, "Wait a moment! I'll oppose them and urge works alone.'" These are not comments of a rational theologian, nor are they comments of a Christian. He spews hate in his writings and attacks people with hate, including God's Word. St. Bernard did not attack the Fathers of the Church, nor did he attack God's Written Word calling it false. Luther however did all of these things. What a tangled web we end up in when we dismiss God's Word and substitute it for that of men. Now you have to try and convince everyone that Luther was demonized, and he really was a nice guy. All we have to do is look at what he wrote, and in the manner in which he wrote it. If we look at all of the Church councils and documents where anathemas were given, and even excommunications were given, we never see the word hate in them as Luther uses. We never see blasphemy of God's Word in them. In fact I can pull out many more attacks by Luther which are even worse than those I have posted so far, which are nothing but personal, hateful attacks. I have a whole library to pull from where he writes his hatred for God and His church, and His Saints. Try reading his work of hatred written in 1545 (Against the Papacy at Rome, Founded by the Devil). I wonder who was founded by the Devil, the one who spits on God's Holy Written Word by calling it false, or the Church which defends it and proclaims God's Word in its entirety, without removing or adding anything? I'll let you figure that out. Not much of a problem for me. Luther was nothing short of a wannabe tyrant with his own man-made theological concepts which he could not reconcile with God's Word. He was condemned a heretic by the Church. Sadly, to my knowledge he never repented of his heresy. He was foul mouthed and arrogant and held himself up higher than God and His Church. Where there is no humility, there can be no peace. We can certainly see it from his many spiteful writings. Protestants to my knowledge agree that the Orthodoxy of a book was considered when inclusion in the Canon of Scripture came under discussion. Luther went out to define his own canon of Scripture, using the same algorithm that the Ancient Church did. But Luther wasn't the Ancient Church, and his view wasn't the same as theirs. For him, Orthodoxy meant Sola Fide. This was the guiding-line by which he defined what was and what was not Holy Scripture and what was and was not canonical. This explains both of his sets of what he styled Apocrypha (OT, as well as NT). I've been away from my blog since I posted this entry on 6/20. As to your interpretation of my blog, my writings, my focus, and also Luther's words in context, it would take me a week to untangle the mess of your misunderstanding, misuse of contexts, and lack of familiarity with my writings on Luther. In fact, many of the issues or citations of Luther you bring up have been dealt with already. I didn't delete all your comments, but I indeed seriously considered it. I simply have one question for you, and I'm hoping for a simple straightforward answer. When was the canon given an official dogmatic pronouncement for the universal Roman Catholic Church? I'm not asking for statements put forth by provincial Councils (like Hippo & Carthage), but by a Council whose dogmatic pronouncement was binding upon the entire church, a definitive statement, settling the canon issue once for all. If you avoid obfuscation , and simply admit there can be no answer other than Trent (like Yves Congar did when he stated, "...an official definitive list of inspired writings did not exist in the Catholic Church until the Council of Trent..."), on what basis can Roman Catholics criticize any statements put forth by Luther, Cajetan, and Erasmus on the extent of the canon, previous to Trent? I'm sure some Roman Catholics feel a vindication for chastising Luther's wrong statements on James, but, if they wish to be consistent Roman Catholics, and follow the authority paradigm set up by the Roman Church, they have no right to do so. This is it plain and simple. You can chastise Luther's statements on the canon all you want, but be honest enough to state that it's an emotional reaction you're having, and not a logical reaction based on a consistent application of Roman Catholic dogma. You can attack Luther's views on the canon, but at least include a disclaimer that states you're having an emotional "moment", rather than a proper application of Romanist theological dogma and theory. "The Tridentine list or decree was the first infallible and effectually promulgated declaration on the Canon of the Holy Scriptures"
- H.J. Schroeder, OP, The Canon and Decree of the Council of Trent (Rockford: Tan, 1978), Fourth Session, Footnote #4, p.17. It seems that you have a very limited grasp on how the Catholic Church works in regards to doctrine and dogma. First of all the Church doesn't have to declare everything she believes in a statement of “infallibility” in order for it to be true and universally believed. You keep citing Trent as the first place where the church infallibly declared the Canon of Scripture. So what? Does this mean that the Church did not hold the 27 books of the New Testament to be Sacred Scripture before that? I am sure you know the answer, but for the sake of the 1 or 2 who may not, the answer is no. The Church has held those 27 books of the New Testament to be Sacred Scripture long before Trent. In fact the Church herself never universally questioned the 27 books of the NT after Pope Innocent I in 405 reaffirmed the local Councils of Rome in which Pope Damasus I decreed the canon, and Carthage, confirming the NT and OT books which we still hold to this day, and that which the Council of Florence and Trent reaffirmed. So my argument is not based on emotion as you state. It is based on a thousand year plus Tradition that the Church universally upheld long before Trent. Where has the Church questioned the 27 books of the NT after the year 405? The only reason Trent had to come out and state what the Church had held for over a thousand years is because of people like Luther coming up with all sorts of nonsense with regard to the Sacred books of Scripture. Trent is not stating anything new with regard to the Church's universally held 27 book canon. It is just defending it from heretics who want to rewrite history and make additions and subtractions from Sacred Scripture and Tradition. So to answer your question, no Luther is not following in any fashion that which the Catholic Church did before him, nor during his time. The 27 book canon was settled long before Trent, and long before Luther and his demeaning remarks on the book of James. I do have a right to do so. You do not have a firm grasp on how the Church works with regard to infallible statements, doctrines and dogmas. There are many doctrines and dogmas that have never been officially proclaimed in a council or under an infallible statement by the Pope. It is usually when the Church's faithful become threatened by heresy that the Church has to step in and make a final clarification for the sake of the heretics and those who may be led astray by them. The Church has never made an infallible statement on women being priests either, up until Pope John Paul II wrote a papal letter to solidify the teaching. Does that mean that the Church has never universally held this belief before that? Of course not. And the Church has had to come out against it many times informally to correct those who promoted it etc. It is when certain people in society built up movements to attack the Church's long-held beliefs that she has to come out a make a final pronouncement to quiet the hecklers of the day. You need to learn how the Church works before you start making all of these assumptions Mr. Swan. The Church has held those 27 NT books to be Sacred Scripture for over 1000 years before Luther. Luther is the one who had the audacity to make such irrational remarks because his doctrine did not match up with his understanding of Sacred Scripture. What is plain and simple is I chastise Luther's statement based on 1000 plus year belief of the NT canon, and not on emotion. My question to you, is where did the Church question the authenticity of the 27 book NT between the years 405 and Luther? The Church was very secure in her beliefs. Luther on the other hand was not. Would you say the Church had the same security in her beliefs regarding the OT canon? You need to learn how the Church works before you start making all of these assumptions Mr. Swan. You have yet to disprove anything that James has said. If memory serves me correctly, Erasmus and Cajetan (two Roman Catholics) questioned portions of the NT. They, like Luther, were "allowed" to do so because an infallible proclamation was not yet in place. This is how the RCC works. Outside of an infallible proclamation, varying opinions are allowed to be held. That is why Molinists and Thomists can hold conflicting views on predestination today, yet both be fully Roman Catholic. In fact, Trent was very careful to make infallible proclamations that struck against Protestant beliefs while remaining somewhat loose to allow the conflicting beliefs of the various schools (thomists, dominicans, etc) to still be valid. So, James is completely correct in his assessment that Luther's opinion of the Book of James was perfectly allowable prior to the decree of Trent and you have yet to show us anything that disproves this assertion. No James is not completely correct. As I stated earlier, the Church does not have to declare anything infallibly in order for it to a universal belief. No one except Luther had the audacity to say that the any book of the NT was outright false as he did. As I also said earlier Luther did not question the book based on any historicity, but only his own false doctrines. You have no idea how the Catholic Church defines doctrine or dogma otherwise you would not be making these statements you are making. Luther was completely out of line in what he did, and in the manner in which he did it. I just love when people outside the Church tell the Church how she is to believe and what she it to tolerate in regards to challenging Church doctrines and dogmas. By the way, Erasmus' books were put on the Index for reason in 1536. The Church didn't appreciate some of the things he had to say either. Two wrongs don't make a right. Read about the humanist influence during the Renaissance, maybe that will give you a clue as to what was going on this particular time in history. At least Erasmus came to his senses and eventually challenged Luther on his incorrect Biblical interpretations and incorrect doctrines. I'm a little confused here. James is correct that a Catholic is free to disagree or reject a teaching that has not been infallibly proclaimed. It seems like you're qualifying the Pope's grant of freedom by saying that a Catholic cannot disagree or reject a teaching that has not been infallibly proclaimed if he/she has bad character. Please leave the polemics aside; this is not a matter of defending Luther, so much as it is defending the freedom that Catholics have regarding matters that haven't been infallibly proclaimed or defined. As I stated earlier, the Church does not have to declare anything infallibly in order for it to a universal belief. We aren't talking about universal beliefs, we are talking about infallibly defined doctrine to which no further dissent is allowed. The canon was not infallibly defined until Trent (after Luther's death) therefore a Roman Catholic was free to disgree. By the way, Erasmus' books were put on the Index for reason in 1536. The Church didn't appreciate some of the things he had to say either. Two wrongs don't make a right. I mentioned Erasmus b/c you claimed that no one except Luther "had the audacity to make such irrational remarks" concerning the NT. And don't forget Cajetan. I just love when people outside the Church tell the Church how she is to believe and what she it to tolerate in regards to challenging Church doctrines and dogmas. Actually, I am still pretty sure you are the one who is incorrect here. If you can show all of us where in a Church document it is stated that Catholics are not free to disagree with Church beliefs which are not infallibly-defined, that would greatly help your case. Apparently you haven't yet learned to stop questioning Matthew Bellisario, and to stop doubting Rome. The sooner you do learn that, the better for everyone. Clear? I guess you have not read my last 3 posts. As I said before, just because something has not been officially declared "infallible" as a teaching does not mean that something is not a doctrine or dogma that must be held as a matter of faith. The Church has many doctrines and dogmas that cannot be ignored that have never been officially declared by an infallible declaration. Now you are trying to tell the Church what she must do in order for something to be an article of faith. If thats the case we would have a huge index of infallible statements. We do not have that, the Church has done this by majority when forced to by heretics, or to defend the faithful from heresy. Just because something is not infallibly declared does not mean that you are free do to do whatever you please with Church teachings etc. As I said earlier, those of you commenting on this do not understand doctrine, dogma or infallibility. Until you admit this simple fact, and agree that not everything that doesn't have an infallible declaration behind it doesn't have to be believed then this conversation is over, because you just do not understand how the Catholic Church Works. You expect some kind of infallible doctrine/rulebook for every single thing the Church teaches otherwise you can just ignore it. Not Catholicism, not Christianity, sorry. As per the example I used earlier with the women priests, there was no "infallible" statement on it, yet the Church universally held this as doctrine, and any bishop that tried to ordain a women ended up in serious trouble with the Church when they had tried it. Someone writing about how we should have women priests were condemned to be in error by the Church even though there was no "infallible" statement on it. Wrong is wrong. Luther was wrong, and had no business questioning the Canon, nor did Erasmus or anyone else for that matter. Actually if you read about Erasmus, he mostly questioned authorship, and most of his writings ended up on the Index, so he did not get a free pass either. He also never held the Church to have incorrect doctrine, and then accuse Sacred Scripture of being false as Luther did. The Church had universally held those books to be Sacred Scripture, and only when cornered during this time in history by the arrogance and pomp of the day, She made a final statement to keep the faith intact. Despite the Church doing this, we still see that stubborn people still take books out of the Bible and misinterpret it today just a Luther and his minions did back then. It would not have mattered if the Church declared it infallible in the year 400, you would still have people who think they know better than God and His Church. The Church is very careful and smart in the way she handles things, sorry if its not up to your liking. Why don't you write the Vatican and ask for an official list of infallible beliefs. What must be adhered to is what the Church proclaims universally throughout the ages. The Church gives to us what is worthy of belief. Whatever the Church binds and looses is what needs to be believed, whether it is an "infallible" statement or not. I want to ask again about the Old Testament. You claim that Luther was audacious for doubting James. Why couldn't we claim the same thing about Jerome, et al., who doubted the canonicity of Baruch, Tobit, etc.? I agree with Kepha. It appears to me that you are arguing first from a polemical standpoint rather than a factual one. If I pulled up a list of Catholics with bad character, surely you would reject that as a poor argument. Luther's character, positive or negative, has little to do with the truthfulness of his doctrine. Finally, as regards whether or not one is free to doubt "dogmas" not infallibly defined, let me ask about Mary as Coredemtrix/Comediatrix. This has not been infallibly defined, but it seems pretty universal to me. Is a Catholic free to doubt this? If so, then what makes this different than the NT issue per Luther? I'm finding your arguments very difficult to follow. In order to understand what you're saying, I too would like to see some quotes from official documents, etc. If everyone on this board doesn't understand the Catholic teaching, then please point us to official teaching so that we can be enlightened. As it is, I am personally finding your comments (e.g. claiming everyone here is ignorant without citing anything to prove your point) as very argumentative and pejorative. As I've said with others, that doesn't help your argument. MB: "I just love when people outside the Church tell the Church how she is to believe and what she it to tolerate in regards to challenging Church doctrines and dogmas." This comment is off-base for several reasons. 1) The Vatican does not shut up about what people outside the Church are to believe. 2) None of the comments made above about whether Luther was free to disagree with others before Trent as to the canon took the form of "telling the [Vatican] what it must believe" or "telling the [Vatican] ... what she [is] to tolerate in regards to challenging Church doctrines and dogmas." 3) In fact, the comments were directed to people who are apparently papists, but not to the Vatican. 4) The comments were directed toward distinguishing anachronistic criticisms from historically reasonable criticisms: the point being that before Trent disagreement over the canon was permitted - and Luther passed away before Trent finalized its discussion on the canon. 5) The idea that papist doctrines and/or discipline are inscrutable to outsiders (whether or not they were formerly insiders) is unreasonable, unless one adopts an essentially gnostic concept of "tradition," something I'm sure MB would want to avoid. 6) Since they are not inscrutable to outsiders, I don't feel the least compunction in telling professing papists that they don't know their own church's doctrine when (as has happened) one tells me that "the Church" does not teach the doctrine of Purgatory. That's a fairly extreme example, but the same goes for other things as well. MB also wrote: "Why don't you write the Vatican and ask for an official list of infallible beliefs." If you have time, it would be an interesting experiment. I'm guessing the answer one would get (if any) would not be such a list. Has anyone reading this combox tried? MB: "At least Erasmus came to his senses and eventually challenged Luther on his incorrect Biblical interpretations and incorrect doctrines." Luther came to his senses too and removed the controversial part of the preface to his German translation of the Bible (a translation that always included James). I guess you have not read my last 3 posts. As I said before, just because something has not been officially declared "infallible" as a teaching does not mean that something is not a doctrine or dogma that must be held as a matter of faith. What you have said conflicts with what other Roman Catholics have told me and with sources I have read. "By dogma in the strict sense is understood a truth immediately (formally) revealed by God which has been proposed by the Teaching Authority of the Church to be believed as such...All those things are to be believed by divine and Catholic faith which are contained in the Word of God written or handed down and which are proposed for our belief by the Church either in a solemn definition or in its ordinary and universal authoritative teaching...Dogma in its strict signification is the object of both Divine Faith (Fides Divina) and Catholic Faith (Fides Catholica); it is the object of the Divine Faith (Fides Divina) by reason of its Divine Revelation; it is the object of Catholic Faith (Fides Catholica) on account of its infallible doctrinal definition by the Church. If a baptised person deliberately denies or doubts a dogma properly so-called, he is guilty of the sin of heresy (CIC 1325, Par. 2), and automatically becomes subject to the punishment of excommunication (CIC 2314, Par. I)." Now, if the canon list was dogma prior to Trent, then there are many Catholics throughout history (including a pope) who would have been excommunicated. But that is not the case and I have never heard another RC try to claim such. Now you are trying to tell the Church what she must do in order for something to be an article of faith. No, I am using a highly recommended resource like Ott to define what is an article of faith and what is a theological opinion. Certainly the RCC must be able to define what is or isn't an article of faith. Can you provide a source that corrects Ott on this? What must be adhered to is what the Church proclaims universally throughout the ages. The Church gives to us what is worthy of belief. And where can all these beliefs that must be adhered to be found? "All those things are to be believed by divine and Catholic faith which are contained in the Word of God written or handed down and which are proposed for our belief by the Church either in a solemn definition or in its ordinary and universal authoritative teaching." Read, "or in its ordinary and universal authoritative teaching." Something does not have to be defined as "infallible" in order for it be a required belief or doctrine. So no, you are wrong, and I am teaching what the Church teaches. No Luther could not, nor was he justified arbitrarily pulling out books that did not suit him and his own doctrines. He was not justified in in trying to stop the book of James from being used, nor justified in calling it false. He went against established, universally held doctrine on the canon, and therefore was in error against the Church, whether the canon was "officially" declared infallible or not. It was ordinarily taught well before Trent, and therefore the "infallible" declaration only reinforced its ordinary and universal authoritative teaching. "We aren't talking about universal beliefs, we are talking about infallibly defined doctrine to which no further dissent is allowed. The canon was not infallibly defined until Trent (after Luther's death) therefore a Roman Catholic was free to disgree." As I pointed at least 3 times in this debacle, I said that the Church did not have to declare something, "infallible" in order for it to be held as a doctrine of belief. Ott back my comment up, he says that if it is universally held in ordinary authoritative teaching it is worthy of belief. This would include the many councils I quoted including Florence, Carthage and Rome and the Popes I quoted. "It was by the apostolic Tradition that the Church discerned which writings are to be included in the list of the sacred books. This complete list is called the canon of Scripture. It includes 46 books for the Old Testament (45 if we count Jeremiah and Lamentations as one) and 27 for the New." dogmatic definition of the Tridentine Council." Tradition of the Church, there is no way to know for certain which books belong in Scripture and which do not" (p. 128-129). it is thus the subjective counterpart and complement of objective authoritative teaching, it cannot be said to possess an absolutely decisive dogmatic value." heretical for later defined dogma. like Matthew are with their paradigm of authority. It's interesting to me that he abandoned the typical RC authority paradigm. paradigm, how should those that faultered in seeing a particular book as authoritative and canonical be treated previous to Trent's dogmatic decree on the canon? Are they heretics for denying either the apocrypha or a New Testament book? How should Cajetan be treated? Or Jerome? The canon was a theological opinion before Trent? Says who? Certainly not the Church. The sources that do speak of the canon state that the canon was not ratified until Trent. It was not an article of faith until Trent. You can interpret your Church's history however you like, but you are the first I have heard to make these claims. Define "ordinary and universal authoritative teaching". "The Promulgation of the Dogma by the Teaching Authority of the Church (propositio Ecclesiae). This implies, not merely the promulgation of the Truth, but also the obligation on the part of the Faithful of believing the Truth. This Promulgation by the Church may be made either in an extraordinary manner through a solemn decision of faith made by the Pope or a General Council (Iudicium solemne) or through the ordinary and general teaching power of the Church (Magisteriurn ordinarium et universale). The latter may be found easily in the catechisms issued by the Bishops." Do you have a pre-Trent catechism that states the canon list? As both James and I have said now, you will have a difficult time maintaining that Luther was wrong for questioning the canon when he is following in the footsteps of a long line of people in history including saints, doctors, and popes of the Church. Sorry Matthew, but until you can produce an actual authoritative source to back up your claims, I see no reason to believe you on this one. You are actually in a bit of a pickle b/c if what you say is true, you will be indicting many important figures in your own Church along with Luther. Since we don't operate on the same level of heretical definitions, your charge is much more damaging to your own system than to Protestants. paradigm, how should those that faultered in seeing a particular book as authoritative and canonical be treated previous to Trent's dogmatic decree on the canon? It probably depends on which direction the argument comes from as with your examples of debates with Dr. White. Q A Protestant I know has claimed that the Council of Hippo did not have the book of Baruch on its canon list and therefore could not have been, as Catholics claim, the council defining the canon until the Council of Trent. Can you confirm or deny this? A Maybe some Catholics make this claim, but I don’t think there is any such official claim on the part of the Church. The Council of Hippo was only a regional council of North African bishops. There was no definition of the canon of Scripture by an ecumenical council before Trent. Perhaps whether the definition of the canon was defined at Trent or prior (or whether it was an "ordinary and universal authoritative teaching" prior to Trent) is all encompassed in a "theological opinion" so Catholics can have free judgment on the doctrinal/dogma status of the canon before Trent. Matthew has his opinion, the Catholic Encyclopedia, Congar, Envoy, etc. have another. Hence we may never get a straight answer on this. I said previously "If memory serves me correctly, Erasmus and Cajetan (two Roman Catholics) questioned portions of the NT." In fact, Erasmus and Cajetan also questioned the Epistle of James. If Luther is a heretic for questioning the canonicity of James, then the pope sent the heretic Cajetan to deal with the heretic Luther. Doesn''t quite makae sense. James is utilizing a principle of Catholic theology and orthodoxy against certain Catholic understandings of Fr. Luther; namely, that a Catholic, in this case Fr. Luther, has the freedom to disagree or reject a teaching that has not been infallibly pronounced or defined. Your response has been to simply state another principal of Catholic theology and orthodoxy, namely, that the Magisterium (i.e., the Pope and those bishops who agree with him) does not have to exercise the charism of infallibility formally (i.e., in a Council the Pope approves or an ex cathedra statement by the Pope himself), but that the Ordinary Magisterium, too, can exercise the charism of infallibility. For example, as you have stated, the ordination of women is not something that has been formally infallibly proounced, but via the Ordinary Magisterium it is an infallible teaching. For one thing, you must now provide documentation that the Bible was, like women ordination, something that was taught by the Ordinary Magisterium down through the centuries. Further, in light of your statement that a Catholic must take into account the infallibility of the Ordinary Magisterium, you must now clarify what the criteria is for a Catholic to know whether or not he/she has the right to dissent. Lastly, you have yet to clarify your utiilization of Fr. Luther's character as a means of stripping him, and many other Catholics, of their freedom over teachings not infallibly pronounced or defined. You seemed to have been saying that Bernard of Clairvaux had good character, therefore, he had the right to reject the Immaculate Conception. Look, I have already demonstrated that the Canon was indeed taught through the centuries well before the Council of Trent, and was universally taught and affirmed by the Church many times. The local and universal council's of the Church and the Pope's in the Church have all taught consistently what was considered the Biblical Canon, well before Luther. As Ott taught in his book that was quoted by Carrie, something does not have to be solemnly declared in order for it to be an article of faith. I have said this the last 3 or 4 posts now. The Canon was listed by several councils, including an ecumenical council before Luther. The Council of Hippo in 393 was confirmed by Carthage in 397, then passed on to Pope Innocent the I in 405 who agreed with their pronouncements, then a second Council in Carthage in 419 was also sent to Pope Boniface for approval. Finally in order that no one be confused as to Luther's knowledge and accountability to the Church regarding the Canon, the Ecumenical Council of Florence decreed the same list again in 1442 well before Luther. Although some may dispute the Council of Florence's authority over the Eastern Church, no one will deny Florence's binding upon the Western Church, which included Luther. No matter where you take your arguments to excuse Luther, you find yourself cornered. The universally held Canon by the Church did not have to be "infallibly" defined in the proper sense in order for it to be understood to be doctrine and fit for belief. Luther indeed was in opposition to the Church in his inexcusable comments on Sacred Scripture. As Ott wrote, ""All those things are to be believed by divine and Catholic faith which are contained in the Word of God written or handed down and which are proposed for our belief by the Church either in a solemn definition or in its ordinary and universal authoritative teaching." The above criterion is clearly met without a solemn definition, and clearly meets the later definition that Ott gives, that it was an ordinary and universal authoritative teaching by the Church for 1000 years before Luther. If thats not good enough for you, although I think it is well beyond adequate, then there is no way Luther could deny Florence and its binding authoritative pronouncement on the Canon in the West. Luther was clearly way beyond the scope of the Church once he started slandering Sacred Scripture. He was one of the few to do so in the manner in which he did, and anyone else that questioned it was also in error and worthy of correction by the Church, whether in was "infallibly" solemnly defined or not. I am not going to continue to argue with you. You still have not quoted one official document to backup your assertions and the counter-evidence provided by the rest of us is against you. One last thing, though. You said "If thats not good enough for you, although I think it is well beyond adequate, then there is no way Luther could deny Florence and its binding authoritative pronouncement on the Canon in the West". I will just add that at the Council of Trent there was discussion about whether or not the Council of Florence was binding as many bishops at the Council did not believe it was. If the bishops of Trent were unclear about the Council of Florence, then likely so was Luther and others. This just goes back to the general confusion in Catholicism as to what is or is not binding, which seems to be playing out also in this discussion. Well for Catholics there seems to be no confusion. Authors and scholars like Henry Graham seem to be very clear about it and see no problem with the canon before Trent and see it as being plainly defined by the Church and her ordinary teaching. It seems that you are the one who does not understand Catholicism or how the Church defines doctrine and dogma, and how infallibility works. I have provided the many councils and Popes that defined it well before Trent that proves my point. He also affirms what I said about the prior councils and tradition of the canon in the Church. "During the deliberations of the Council (Trent) there never was any real question as to the reception of all the traditional Scriptures. Neither — and this is remarkable — in the proceedings is there manifest any serious doubt of the canonicity of the disputed writings. In the mind of the Tridentine Fathers they had been virtually canonized, by the decree of Florence, and the same Fathers felt especially bound by the action of the preceding œcumenical synod. The Council of Trent did not enter into an examination of the fluctuations in the history of the Canon. Neither did it trouble itself about questions of authorship or character of contents. True to the practical genius of the Latin Church, it based its decision on immemorial tradition as manifested in the decrees of previous councils and popes, and liturgical reading, relying on traditional teaching and usage to determine a question of tradition." During the deliberations of the Council (Trent) there never was any real question as to the reception of all the traditional Scriptures. Neither — and this is remarkable — in the proceedings is there manifest any serious doubt of the canonicity of the disputed writings. For those who are interested in some of the difficulties around the canon discussions at Trent, see the posts here and here. Oh , but the Encyclopedia says so. If James Swan can quote from his Catholic Encyclopedia and hold it as a reliable source, than why can't I? I have proven my point. The canon was defined as worthy of belief long before Trent. It was an ordinary universal teaching of the Church. I think Charles George Herbermann's credentials speak for themselves. He was a Latin scholar who held a Doctorate in Law. I am sure he understood the Church and its operations and definitions very well. It seems that no matter what any Catholic says, you will never concede to being wrong. To say the canon was not worthy of belief before Trent is completely absurd. We are to think that everyone before Trent went around questioning what the books of the canon were? Everyone challenging different books and taking what they wanted and left what they didn't like? Every man with his own theological opinion of what books were worthy of belief and which were not? It is quite the realm of theological fantasy, and we do not see constant challenges by the Church, in her documents or in her councils that would make this premise be worthy of belief. It is quite the contrary. The universal teaching of Church councils and documents, reaffirmations by the pope's etc all prove my point. HERBERMANN, Charles George, educator, born near Munster, Westphalia, 8 December, 1840. He came to the United States with his parents at the age of ten, and was graduated at St. Francis Xavier's college, New York city, in 1858. After teaching there for several years, he was appointed in 1869 professor of Latin in the College of the city of New York, and was made librarian there in 1873. He received the degree of LL. D. from St. Francis Xavier in 1884. He has published "Business Life in Ancient Rome" (New York, 1880), and an edition of Sallust's "Jugurtha" (1886), and is a frequent contributor to the "Catholic Quarterly Review" and other periodicals. Oh , but the Encyclopedia says so. If James Swan can quote from his Catholic Encyclopedia and hold it as a reliable source, than why can't I? "The Tridentine decrees from which the above list is extracted was the first infallible and effectually promulgated pronouncement on the Canon, addressed to the Church Universal." "The "Decretum pro Jacobitis" contains a complete list of the books received by the Church as inspired, but omits, perhaps advisedly, the terms canon and canonical. The Council of Florence therefore taught the inspiration of all the Scriptures, but did not formally pass on their canonicity." "The great constructive Synod of Trent had put the sacredness and canonicity of the whole traditional Bible forever beyond the permissibility of doubt on the part of Catholics." It seems that no matter what any Catholic says, you will never concede to being wrong. No, you just haven't proven your point and your opinion is in conflict with many other Roman Catholics and RC source material. You know that I have defended Catholics on this board before. I am not out to blast Catholics at all, but I am afraid that I must agree with Carrie. I don't see how you have proven your point. Perhaps, I've missed it. I haven't seen you quote official documents, and I haven't understood your logic. Perhaps that is just me, but I'm unconvinced. We are to think that everyone before Trent went around questioning what the books of the canon were? Everyone challenging different books and taking what they wanted and left what they didn't like? Every man with his own theological opinion of what books were worthy of belief and which were not? That's not a fair representation of what is being said here, and it's a false dichotomy. For instance, take the doctrine of Mary as Co-Redemptrix. That is not an infallibly defined doctrine. However, I know of very few Catholics who disagree with this. There isn't every man running around teaching this or that about Mary in this regard. Plus, as has been presented to you several times, there were many faithful Catholics who disagreed about the canon before Trent. Why don't you attribute to them the same audacity that you attribute to Luther? Why were they free to question James, but Luther wasn't? You said at least Jerome kept the deuterocanonicals in his list, but I don't remember Luther removing James, even though he questioned it. Again, it could just be me, but I don't see a fair and balanced treatment of Luther and Cajetan, for instance. Could you clarify your argument, cite some official documents, and address the OT, as well? I know that I would find that helpful. This is my 2 minute blog check in I do every morning. If I were to revise this entry, (which I'm not going to do) I would probably add something to the effect that theologians holding differing opinions on the canon previous to Trent did not fall under any kind of anathema, because of a lack of dogmatic pronouncement from Mother Rome on the Canon. So in a sense, they were allowed a freedom to hold their views without being declared heretical, and remember, anathemas don't work backwards, if I recall. While Matthew enjoys stringing up Luther and beating him mercilessly with a Ludwig Ott book, he should then look at the line of Catholic theologians forming behind Luther in need of a good beating. I suggest getting multiple copies of Ott's book, because he's going to go through them rapidly in applying his backwards anathema. Here's a tip: a good hard back will help in the beatings, and will last longer than the softcovers. BJ, I did include others who questioned it and I said they were wrong and were worthy of correction as well. Here is a quote from an earlier post. "Luther was clearly way beyond the scope of the Church once he started slandering Sacred Scripture. He was one of the few to do so in the manner in which he did, and anyone else that questioned it was also in error and worthy of correction by the Church, whether in was "infallibly" solemnly defined or not." If Matthew is correct, the Gloss Ordinaria, the middle ages commentary should not exist, no? Oh no, its the the Gloss Ordinaria argument again...I won't even bother to comment on this one. Its been defeated over and over and over again. Almost like the call no man father argument. Not even worth addressing. Actually, James, I don't think Ott is on Matthew's side on this one. If Matthew is going to beat anyone with anything, it will have to be with his own opinion since he has yet to provide us with much else. "So, James is completely correct in his assessment that Luther's opinion of the Book of James was perfectly allowable prior to the decree of Trent"
This seems to me to be about as rational as saying that one may walk into ones local protestant church and it be perfectly allowable to state that Matthew, Mark, Luke and John are not scripture. Technically, I guess you can, and there is no dogmatic statement saying you can't. In reality, it isn't going to work, nor should it. An observation, after spending some time scrolling through these comments: What does any of this have to do with the heart of the gospel? Where is love, or justice, or healing, or salvation? I deeply appreciate the honorable efforts of all who tried to maintain a reasonable (and fruitful) conversation with a hostile party. However, this is no more possible with people arguing as he does than it is to argue with Protestant fundamentalists. They are not open to real dialogue. By the way, the person who first pointed out to me the futility of engaging Protestant fundamentalists was the chair of the department where I was studying for a graduate degree in Catholic theology (I later taught at that university). I simply applied the same reasoning to Catholic fundamentalists, who are multiplying under the present papacy and the decline of the Roman Catholic church in more educated nations. Fundamentalism is a reactionary digging in when the ground seems to be shifting underneath. I suggest that Mr. Swan might consider deleting posts from anyone who would refer to one of the Reformers as a "monster." Irenic? Definitely not. It's depleting even to scan the long list of posts from someone who is full of venom for the sake of his institution. I came to this blog looking for good information about Luther's "epistle of straw" comment, and I found it. Thank you. But I regret not ending my reading before the comments. Whether it's political blogs or religious ones, the ugliness on Internet comments sites is demoralizing for us, not only followers of Jesus, but people of faith, and all of God's children everywhere. More than that - it is a sin. May God have mercy on us! It's no wonder that so many young people want nothing to do with us in the church. I can't speak for anyone's comments except for my own. My defense of Luther and the Reformation stems from a love for the Gospel. 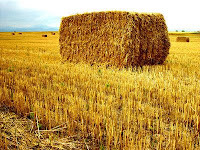 When Roman Catholics bring up the "epistle of straw" comment, it is simply an attack against sola fide. If we boil it all down, many Roman Catholics believe Luther simply invented his own Gospel, and they'll do anything to discredit him, so as to discredit the Gospel. The justice of it all, is presenting the truth about Luther and the Reformation, and pointing out bogus argumentation. Healing? I would hope some of the Roman Catholics that so vehemently oppose sola fide will at least see their argumentation is faulty, and perhaps take a deeper look into the scriptures, perhaps they will experience the healing of the soul. Salvation? Yes, indeed, my hope is God's Spirit will take dead sinners and bring them to spiritual life. There isn't salvation apart from the Gospel. The Reformers shouted the Gospel throughout their age. I defend them, because they defended the Gospel. True enough. I don't expect many to be swayed from zealous irrationality. There are those who seek out answers to argumentation about the Reformation- and quite frankly, there weren't too many people that I found taking the time to answer Catholic arguments against Luther and the Reformation when I started the blog. If anything I do keeps someone from buying into Rome's false Gospel, even if it were just one person, that's enough for me to keep doing what I do. I don't engage people because I think I can convert them, only God can do that. Perhaps I'm just a step along their path to the truth. I defend what in know to be true. That's enough of a motivation for me. As to Catholic fundamentalists, if you mean the current batch of layman apologetics, like Catholic Answers, I can at least respect them for trying to take their faith more seriously than liberals. Catholicism though is a wide spectrum of voices. I often wonder if those like the Catholic Answers crowd that take their faith so seriously, aren't a minority, and not representative of a typical Catholic. Other than at debates, or conferences, I rarely meet an educated conservative Catholic, like those of the Catholic Answers ilk. I went through a period in which I allowed anyone to say almost anything. That of course, only led to people taking advantage of the blog. I then began deleting their posts. That seemed to tone down some of the trouble. Recently, I began allowing a bit more negativity, but my patience is wearing thin again. if anything, their comments speak to the nature of their hearts, and their comments serve more to their defeat. Yes, agreed. Fortunately, when my schedule picks up, I often can't even keep up with the comments. You're welcome. I've written a lot on Luther and Scripture, simply search my blog. Feel free to check my facts and sources. If I can further verify something for you, let me know. This is an older entry. I often can't recall all the comments, or sometimes even the post. I skimmed through the comments on this post, and noticed that some of the key antagonists still spend their time here attacking, usually missing the target. I can delete their comments, but then the charge is: you won't allow comments, you're scared, or know you're wrong, etc. So I leave them up, interact with them when I have the time, and trust that at least a few people can see the truth through the battle.